As a slight change to the format of the First Tuesday current affairs discussion, we're going to discuss the novel by Mikhail Bulgakov entitled Master and Margarita. This novel offers a multitude of threads to discuss regarding the rich tapestry of life. There's a chance to think through the nature of understanding and writing about authoritarian regimes in inventive ways as well as something of an intellectual wind down as we head into the Christmas season. This has been a phenomenal year for the Salon, so see it as a way of stretching your imagination ahead of the heavy partying season when we all get to read more than usual in between social engagements. 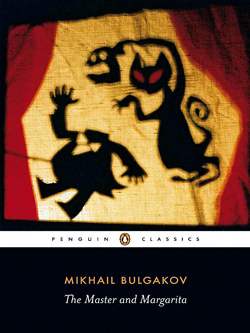 By embedding the realistic in the fantastical, Bulgakov succeeded in sneaking a powerful social satire past the regime, with what Malcolm V Jones calls ‘Aesopian techniques for fooling the authorities’, and created an exhilarating novel and a thoroughly enjoyable read. Especially in the chaotic middle section, as disorder spreads across Moscow, both language and incidents are lively and colourful, with comedic use of bathos to offset the unreal and unite it with the real. The Master and Margarita is a vivid and richly-pictorial novel; it lifts the reader high above Moscow in a fantastical tale which is both thoughtful and entertaining from start to finish.